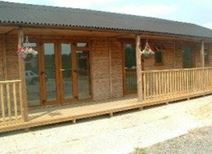 Modern offices to let in the attractive rural setting of Hextable, near Swanley. There is round the clock access and security operation, and ample on-site parking. Conveniently located for the M25 and A20, with easy access to Swanley shops and rail station. These premises offer office space fully, partly or unfurnished subject to the client's wishes. Storage space is also available on-site. There are excellent facilities, such as- round the clock access, on-site parking, and a support team in place offering a full range of services. Located in a very accessible area, at junction 1 of the A20 at the M20/M25 intersection, with easy access to Swanley shops and rail station. Each of these two fully serviced offices are 360 sq. ft. in size and are located on the first floor. The modern light industrial unit is at the rear of an established industrial estate within walking distance of Swanley High Street.